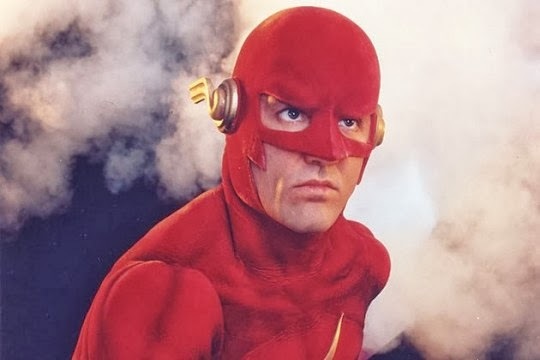 John Wesley Shipp joins the cast of The Flash for the second time in his career. Many who watched the Flash TV series from the '90s thought the former soap star did a great job on the show. The short-lived series saw the "Scarlet Speedster" fight clichéd television-level villains—plus the memorable Trickster (played by Mark Hamill), which eventually gave us the animated version of the Joker. The character Shipp will play is a mystery for now. (What kind of forensic scientist doesn't like a good one of those?). However, in the vein of Michael Douglas being cast in Ant-Man, one speculation is that he will play Barry Allen's father or possibly Jay Garrick, which would be pretty cool. I assume, of course, the Golden Age version, pre-New 52. This casting is hot on the heels of another '90s favorite of mine. Tom Cavanagh (or as I know him, "Ed") joined the show last week. I know I'm getting more excited for these DC projects as they continue to make good decisions. Every casting choice Marvel makes gets my drool factor going, and it seems DC has finally caught on. What do you think of this news? Are they trying to re-hash some kind of "star power" for the sake of nostalgia, or is it just an overall good move?